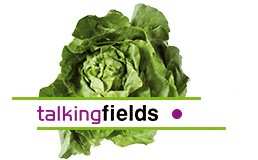 For the site-specific application of mineral and organic fertilizers, especially nitrogen fertilizer, three differently complex approaches using TalkingFields products have proven their worth. Accordingly, you can optimize the site-specific fertilization of your fields in three stages, depending on requirements and effort. On the one hand, the TF Base Map can be used to derive management zones with different growth conditions and thus different nutrient requirements. On the other hand, the TF Yield Potential Map offers the possibility to plan the nitrogen fertilization according to the achievable target yield. 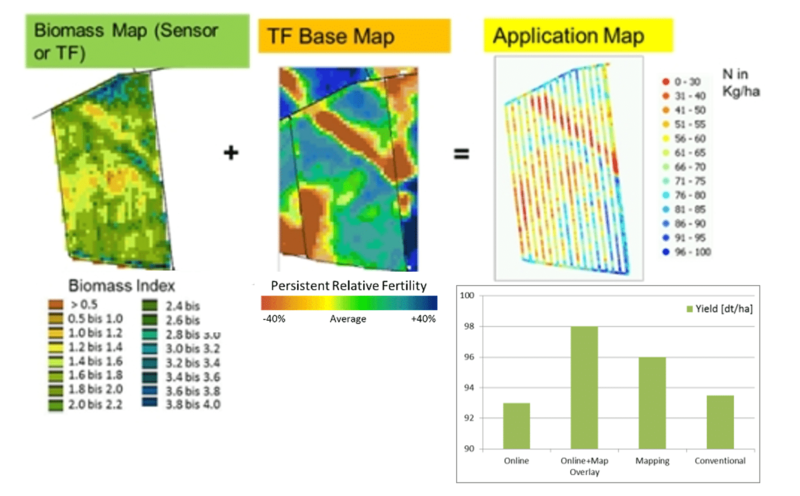 Finally, the combination of TF Base Map and TF Biomass Map allows both the adaptation of the fertilization to the expected target yield during the growing season and the determination of the ideal timing for the application. The TF Base Map is a perfect basis for planning site-specific applications. Depending on fertilization strategy, the result for nitrogen fertilization can e.g. be reduced fertilizer application in areas with low fertility in the past, as the nutrient (and water) storage capability of the soil is likely low there and fertilization losses are high. Conversely, in areas where crop vigor is continuously high, crop growth and thus the achieved yield can be improved with higher fertilizer application rates. A second option is to combine the crop-specific TF Yield Potential Map with the fertilization recommendation for the cultivated variety in each field to adapt the N1 fertilization to the target yield. 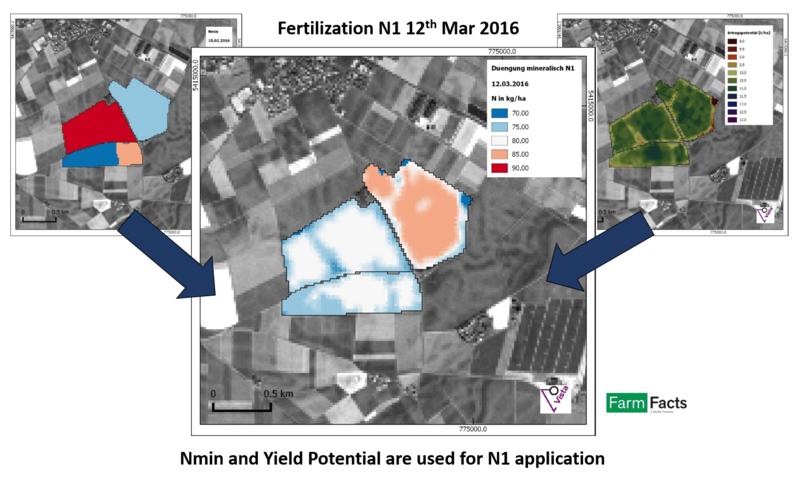 Considering the nitrogen storage (Nmin) in the soil and the field-specific fertilizer recommendation, the first application of the mineral or organic fertilizer is adapted to the specific yield potential (nominal value) from the TF Yield Potential Map. This brings the soil storage to an optimal level for the upcoming growth period without burdening the environment unnecessarily. For the TF Yield Potential Map, the potential yield over several years is calculated using a crop growth model (PROMET) resulting the mean value over all years. Thus, the influence of different weather conditions is minimized, and the calculated value is representative. 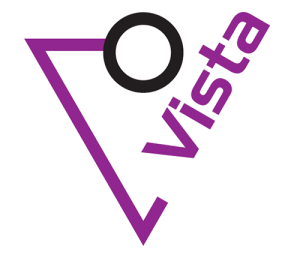 Various scientific studies and practical trials have shown that a combination of long-term yield potential and the current development and supply status of the crop leads to the best results in site-specific nitrogen fertilization. This is called the map overlay approach. By extracting long-term biomass patterns from archive data (TF Base Map / TF Yield Potential Map) and calculating the current biomass status with current satellite data and a growth model (TF Biomass Map), TalkingFields’ methods make it possible to build the map overlay approach on one uniform, comprehensive data source.